Remember when the prospect of a “Deadpool” spinoff movie felt like a fun idea? 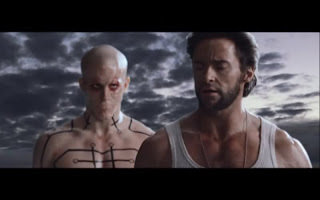 That was before April’s super-zero non-event “X-Men Origins: Wolverine” belly-flopped into theatres, figuratively treating the character like Ned Beatty in “Deliverance” and violating him like a parking meter. Recall, if you will, those sun-streaked, carefree days of yore, when rosy-cheeked, cheery-eyed fans frolicked gaily amongst the spinner racks, lovingly cradling armfuls of crisp, glossy tales featuring a certain jumpsuit-clad soldier-for-hire, blissfully oblivious that a grim, pitiless future would reward their buoyant spirits and dedication with only sewn-up mouths, impractical arm-blades and laser eyes?